The National Hockey League is taking its long-running case against former referee Dean Warren to the Supreme Court of Canada. Eight years after the NHL fired Warren and the former official failed in an attempt to be reinstated, the league and Warren remain locked in a legal battle over his $250,000 severance. Warren was fired by the NHL in 2008 and asked the Ontario Labour Relations Board (OLRB) to order the league to reinstate him in 2009. The OLRB ruled against him and the Ontario Superior Court supported the board’s decision. Since then, Warren and the NHL have battled over his severance. While the OLRB ruled the NHL didn’t have to pay out the former official’s severance because too much time had passed since he left the league, the Ontario Superior Court disagreed. The NHL appealed that decision to the Ontario Court of Appeal, which, in March, declined to hear the NHL’s arguments. In an April 8 letter to Warren’s lawyer Tom Curry, the NHL indicated it will seek leave to appeal the case to the Supreme Court. Warren, now 52, said he has spent several hundred thousand dollars on his case but vows to stay the course. “The reason you stay committed to it is you start and you have to finish,” said Warren, who owns and operates a golf course south of Hamilton, Ont. An NHL spokesman did not respond to an email seeking comment on the case. Since leaving the game, Warren said he’s had sporadic contact with current officials. 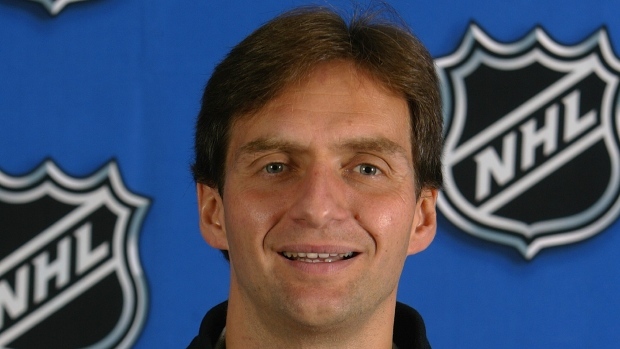 After nine years as an NHL referee, the league fired Warren in April 2008 on the grounds of sub-par performance. Warren argued he was actually terminated because he had become an advocate for fired referees and an active executive with the National Hockey League Officials' Association (NHLOA). Warren asked the OLRB to force the NHL to reinstate him, pointing out that in four of his first five seasons as an NHL referee, he was appointed to work NHL playoff games, evidence he was among the top 22 referees in the sport, his lawyer said. But after NHLOA president Stephen Walkom moved from the union to management, joining the NHL’s front office in 2005, and after Warren was elected a union executive the following year, Warren’s lawyer argues the league was looking to sack him. According to the OLRB’s 2011 decision, in which the board refused Warren’s bid for reinstatement, NHL executive vice-president Colin Campbell in mid-February 2007 sent Walkom a game clip showing Warren allegedly missing a high-sticking call. After the OLRB decision, which was upheld by an Ontario divisional court, Warren asked the league to pay out his severance. The NHL refused, arguing it was no longer obligated to pay Warren the money because too much time had passed since his firing and also because the league’s contract with officials contains a clause that says employees forfeit any potential severance if they take legal action against the NHL. The OLRB agreed with the NHL’s position. “A reasonable person would have known that he was making a choice: take the severance offered or seek reinstatement at the Board,” the OLRB’s June 16, 2014, ruling reads. with the OLRB’s support – sought leave to appeal the superior court decision to the Ontario Court of Appeal. The NHL's stance regarding Warren – racking up years of legal bills on the case rather than paying the former referee his severance – offers an insight into the importance NHL officials have put on establishing a precedent with the case, legal experts say.